Lakes may be the last things on your mind when you visit Italy, but believe me, this one is worth seeing. 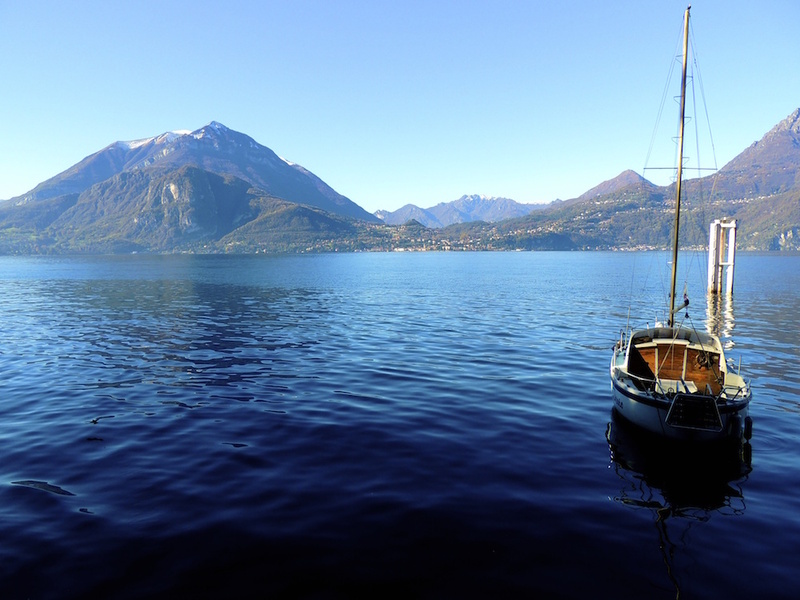 The third largest of Italy’s lakes, Lake Como is a crystal-clear marvel with dozens of quaint towns along its shores. The lake, which is located about an hour from Milan in northern Italy, is tucked into a series of hills and sits at the edge of the Alps. On a sunny day, the water shines a deep, rich blue while ferries carry both locals and tourists from town to town. Visit in the summer and see sailboats, speedboats, yachts and kayaks speckle the great blue lake alongside the ferries. There is no better way to see and appreciate each surrounding town than by boat. Lake Como feels almost Swiss with its cooler temperatures, bright blue waters and proximity to the Alps. The terrain in northern Italy is vastly different from that of central or southern Italy, partly because of these mountain ranges in the north. Hike the rolling hills of the lake’s surrounding towns, or admire the stunning peaks from boat or shore. There is no escaping the impact of Como’s Italian Alps. The Alps are not the only Swiss-like element of Lake Como—the lake’s many villages look and feel like a happy marriage between Italy and Switzerland as well. Depending on the time of year, the towns can be slow moving and quiet (fall and winter) or bustling and full of life (spring and summer). I had the pleasure of visiting Bellagio and Varenna in November, when the towns were sleepy and quiet with the off-season in full swing. Compared to the endless activity of Rome, these peaceful towns were just what I wanted in a weekend getaway. Whether you enjoy the towns to yourself in the off-season or share them with a bigger and wealthier crowd in the summer, you are sure to have a fun experience and meet the nicest locals. Each town is full of specialty shops that sell products like hand-carved goods, pottery and silk goods. The fact that Lake Como has amazing food is no surprise—this is Italy, after all. The type of food will differ a bit from central or southern Italy, however, as different vegetables and grains are more prominent in the north. The best and freshest food will be risotto, polenta, veal, Bolognese, truffles, fish and chestnuts. The city of Como has a growing food scene, but look to Bellagio for a more luxurious dining experience. Some of the smaller towns, like Varenna, have less dining options but are just a short ride across the lake from larger towns. Don’t forget to enjoy Italian hot chocolate from a nearby café on cooler mornings and nights—it’s like drinking a cup of melted chocolate, and you’ll never want powder hot chocolate again. Yes, it’s true: George Clooney has a vacation villa on Lake Como. If the lake is good enough for Clooney, it’s good enough for you! So do as George does and go to Lake Como to indulge in a Swiss-Italian getaway with incredible views, tasty food and, like all of Italy, the kindest locals. You won’t be sorry. Koalas and kangaroos and snakes, oh my!